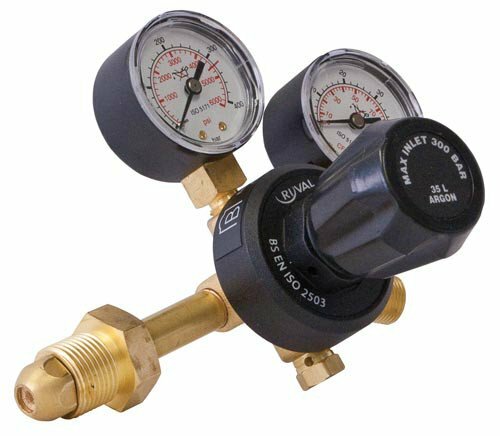 All Ryval regulators are precision engineered for single CO2 cylinder applications and designed for every day use. These regulators conforms to BS EN ISO 2503 with the gauges conforming to BS EN ISO 5171. This two gauge regulator is designed for MIG/TIG welding, where the flow rate is indicated on the gauge up to 35 l/min.